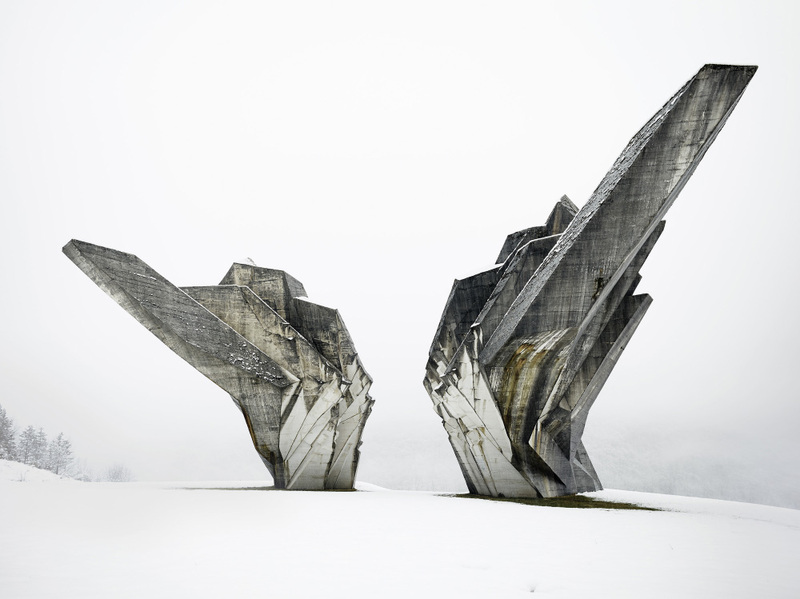 Miodrag Živković and Đorđe Zloković, Monument to the Battle of the Sutjeska, 1965-71, Tjentište, Bosnia and Herzegovina. Photo: Valentin Jeck, 2016, courtesy the Museum of Modern Art. 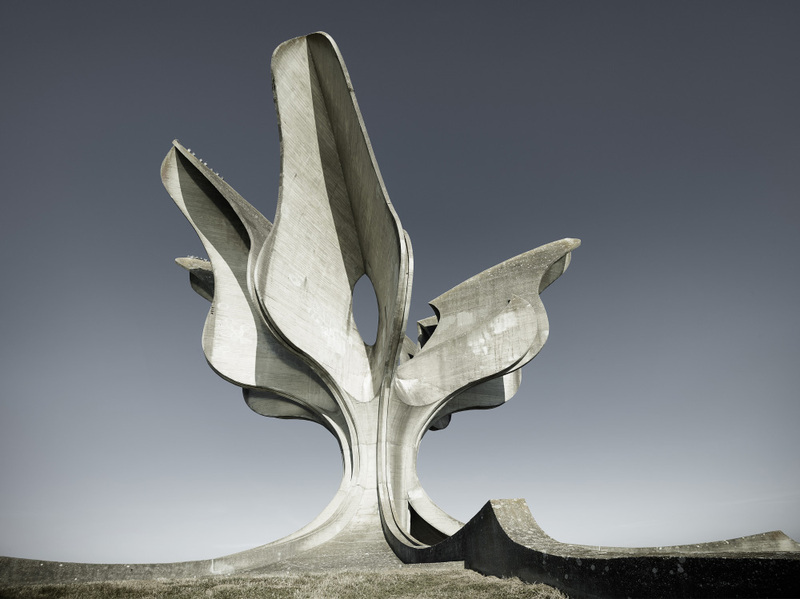 Berislav Šerbetić and Vojin Bakić, Monument to the Uprising of the People of Kordun and Banija, 1979–81, Petrova Gora, Croatia. Exterior view. Photo: Valentin Jeck, 2016, courtesy the Museum of Modern Art. 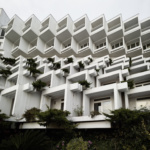 Branko Žnidarec, Hotel Adriatic II, 1970–71, Opatija, Croatia. Exterior view. Photo: Valentin Jeck, 2016, courtesy the Museum of Modern Art. 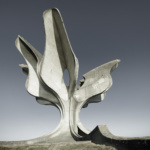 Bogdan Bogdanović, Jasenovac Memorial, 1959–66, Jasenovac, Croatia. Photo: Valentin Jeck, 2016, courtesy the Museum of Modern Art. 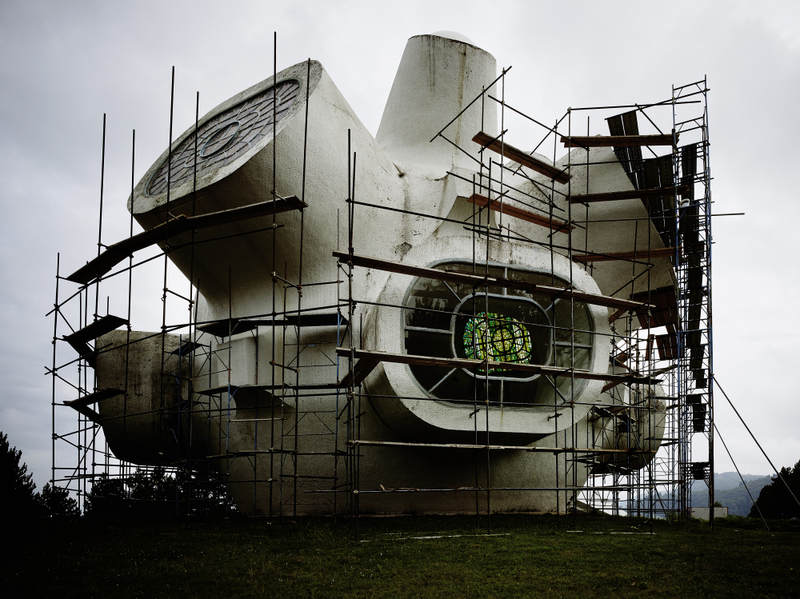 Jordan and Iskra Grabul, Monument to the Ilinden Uprising, 1970-73, Kruševo, Macedonia. Photo: Valentin Jeck, 2016, courtesy the Museum of Modern Art. 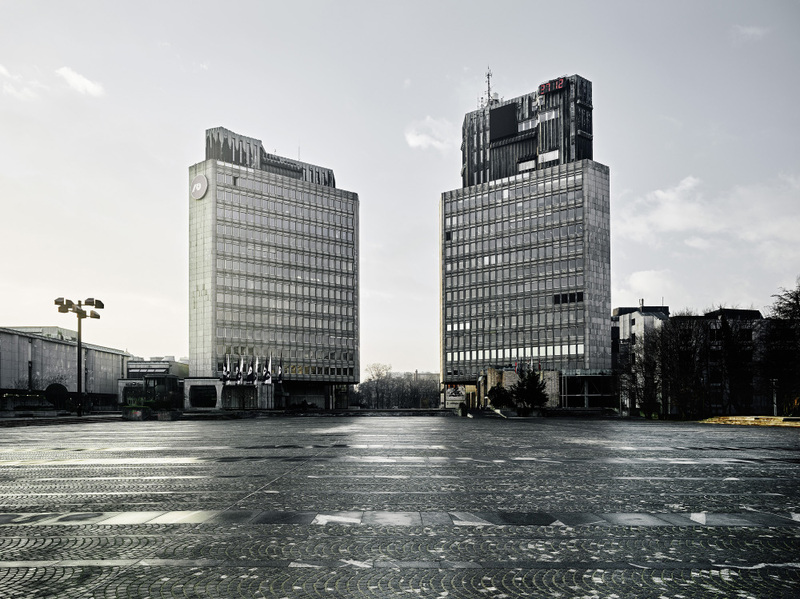 Edvard Ravnikar, Revolution Square (today Republic Square), 1960-74, Ljubljana, Slovenia. Photo: Valentin Jeck, 2016, courtesy the Museum of Modern Art. 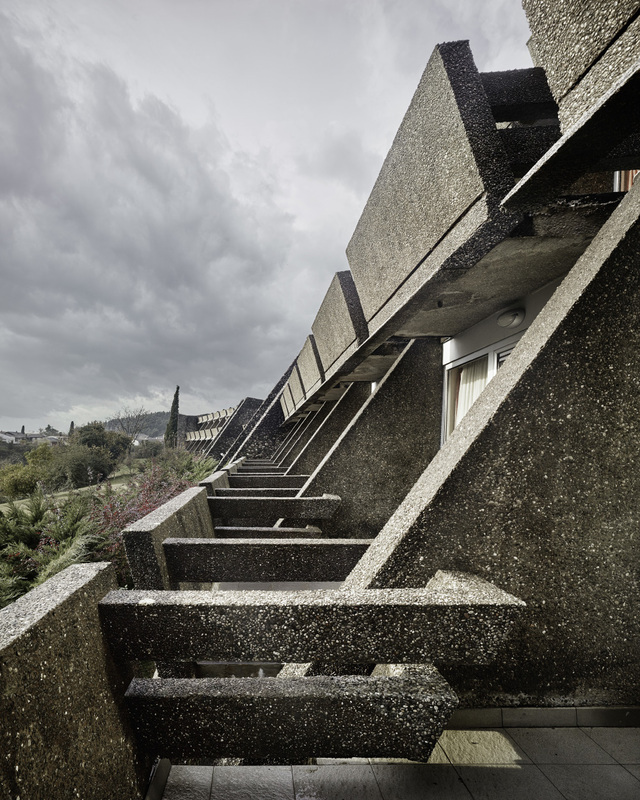 Svetlana Kana Radević, Podgorica Hotel, 1964-67, Podgorica, Montenegro. 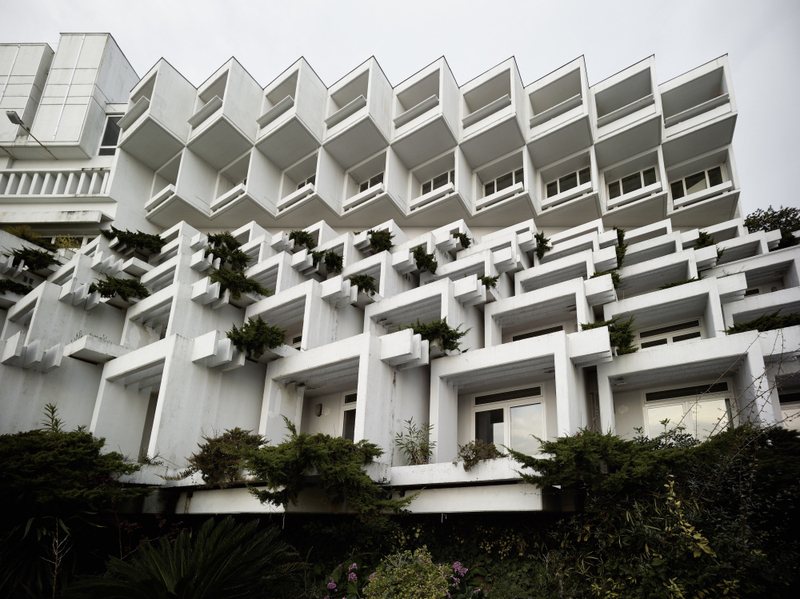 Exterior view of the balconies. 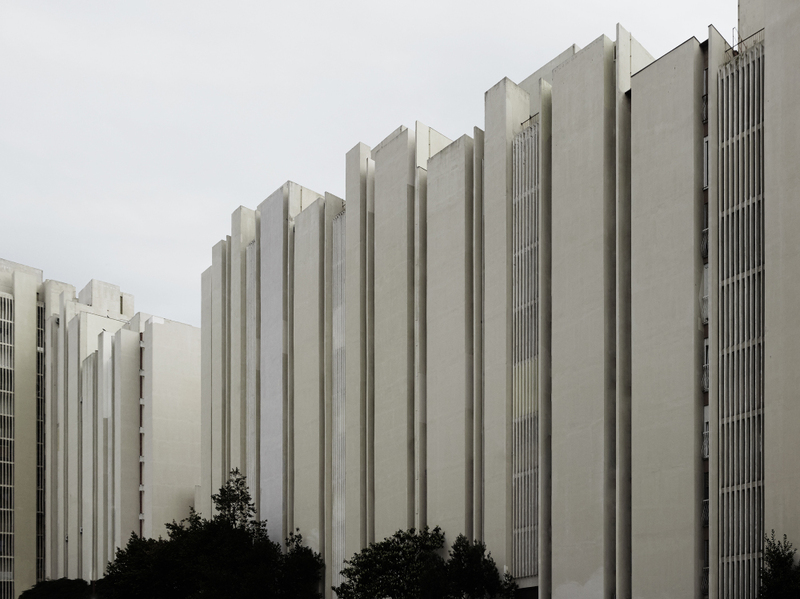 Photo: Valentin Jeck, 2016, courtesy the Museum of Modern Art. 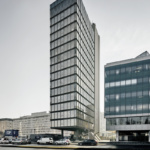 Milan Mihelič, S2 Office Tower, 1972-78, Ljubljana, Slovenia. Photo: Valentin Jeck, 2016, courtesy the Museum of Modern Art. Dinko Kovačić and Mihajlo Zorić. 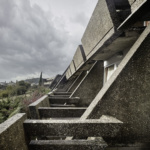 Braće Borozan building block in Split 3, 1970–79, Split, Croatia. 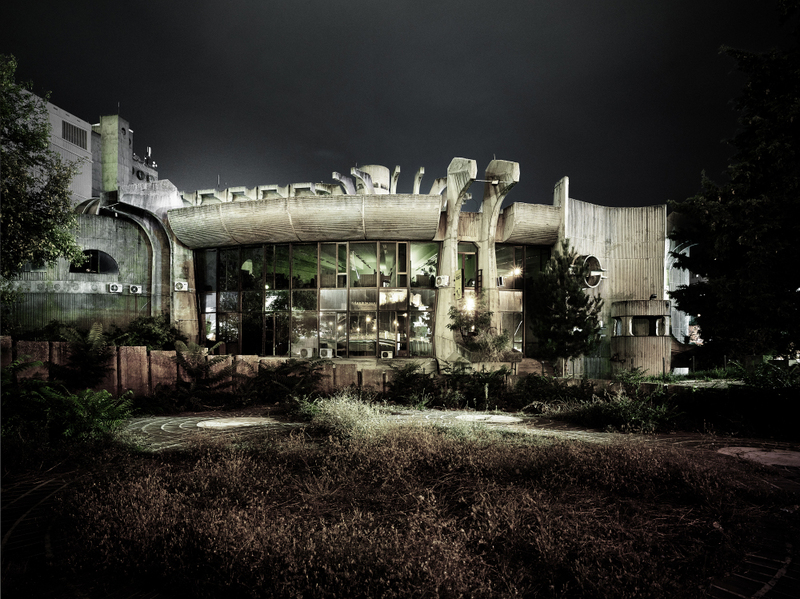 Exterior view. Photo: Valentin Jeck, 2016, courtesy the Museum of Modern Art. 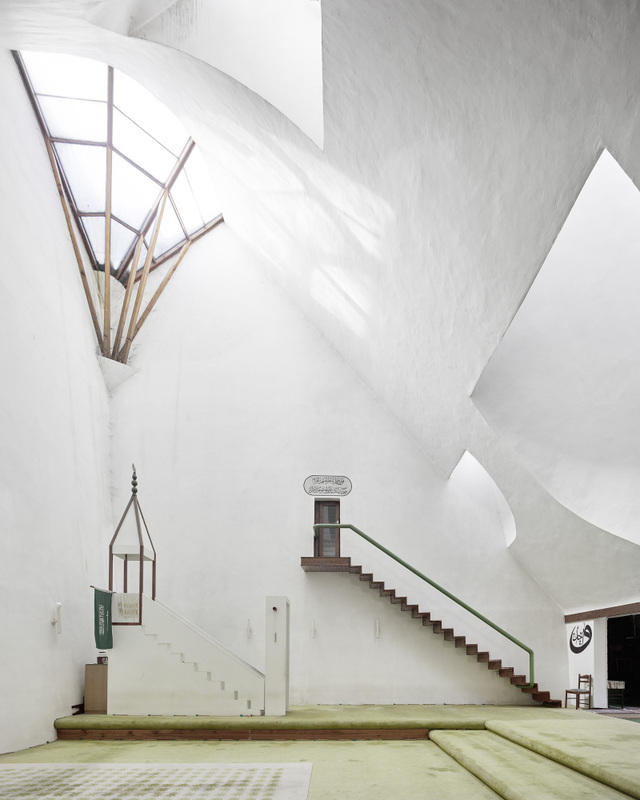 Zlatko Ugljen, Šerefudin White Mosque, 1969–79, Visoko, Bosnia and Herzegovina. Interior view. Photo: Valentin Jeck, 2016, courtesy the Museum of Modern Art. 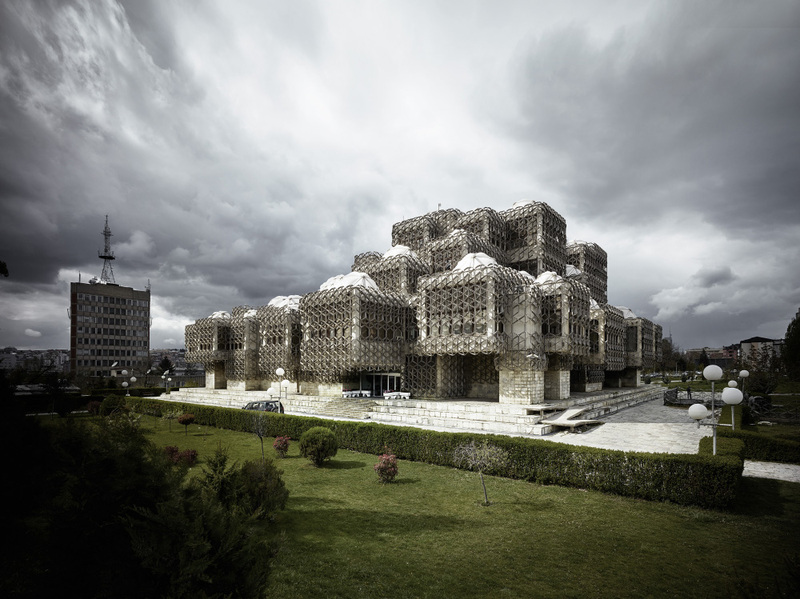 Andrija Mutnjaković, National and University Library of Kosovo, 1971–82, Prishtina, Kosovo. Exterior view. Photo: Valentin Jeck, 2016, courtesy the Museum of Modern Art. 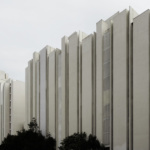 Janko Konstantinov, Telecommunications Center, 1968-81, Skopje, Macedonia. View of the Southwestern Block façade. Photo: Valentin Jeck, 2016, courtesy the Museum of Modern Art. 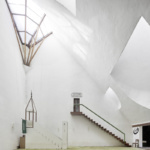 Božidar Janković, Branislav Karadžić, Aleksandar Stjepanović, and Milutin Glavički for IMS Institute and Osnova Atelier. 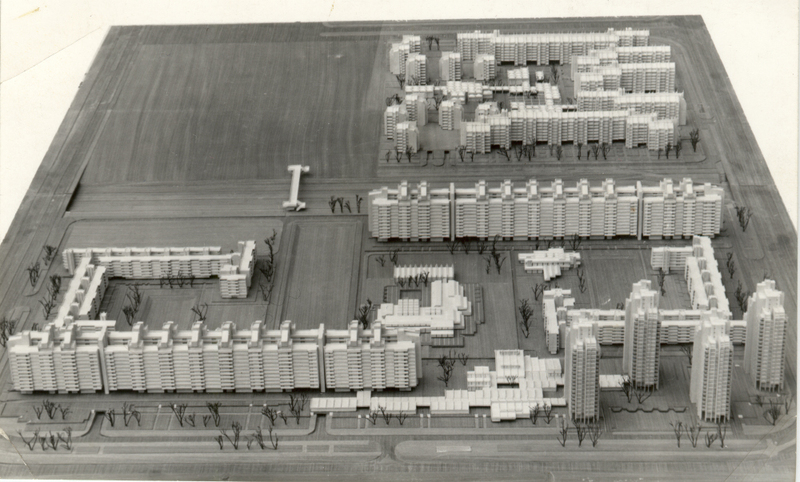 Housing Blocks 22 and 23, 1968-74, New Belgrade, Serbia. 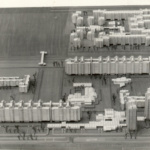 Photograph of the urban model, 1968. Personal archive of Aleksandar Stjepanović. 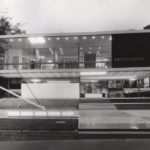 Vjenceslav Richter, Yugoslav Pavilion at Expo 58, 1958, Brussels, Belgium. 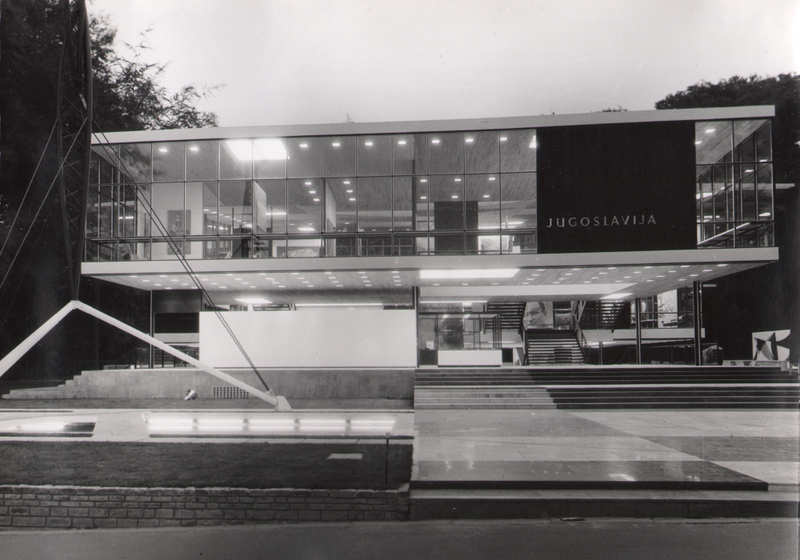 Archive of Yugoslavia. 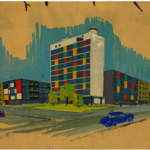 Ivan Vitić, Apartment Building on Laginjina Street, 1957–62, Zagreb, Croatia. 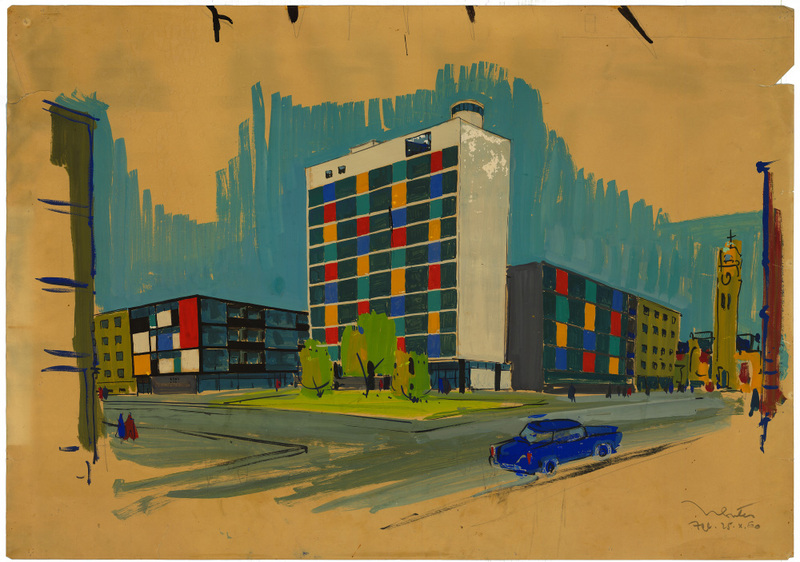 Perspective drawing, 1960. Tempera, pencil, and ink on paper, 27 15/16 × 39 3/8″ (71 × 100 cm). 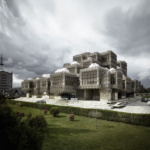 Ivan Vitić Archive, Croatian Academy of Sciences and Arts. 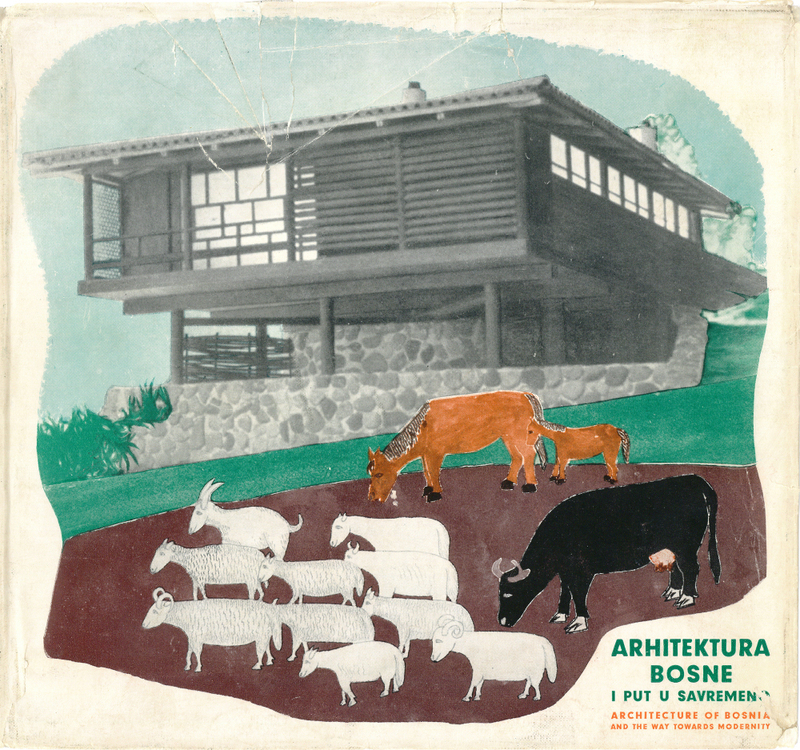 Dušan Grabrijan and Juraj Neidhardt, Cover of Architecture of Bosnia and the Way to Modernity, 1957. Collage, 14 x 14 9/16 in. (36 x 37 cm). 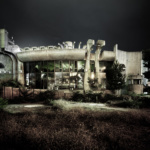 Private archive of Juraj Neidhardt. 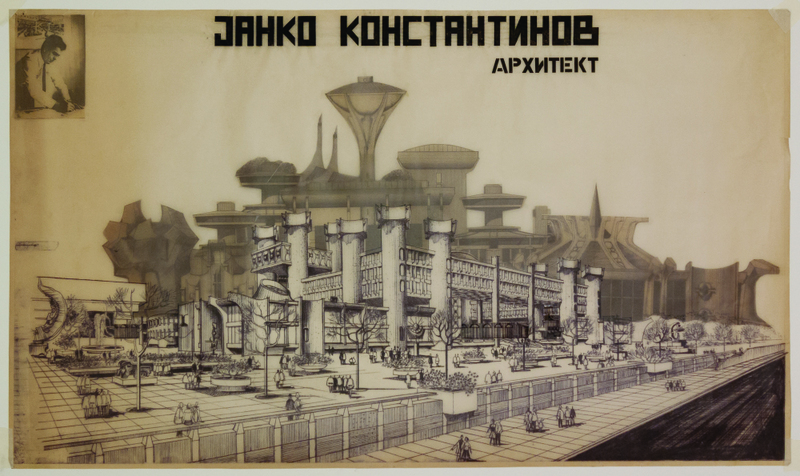 Exhibition poster for the retrospective of architect Janko Konstantinov, 1984. Collage diazotype and tracing paper. 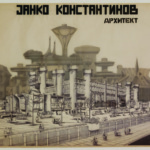 Personal archive of Jovan Ivanovski. 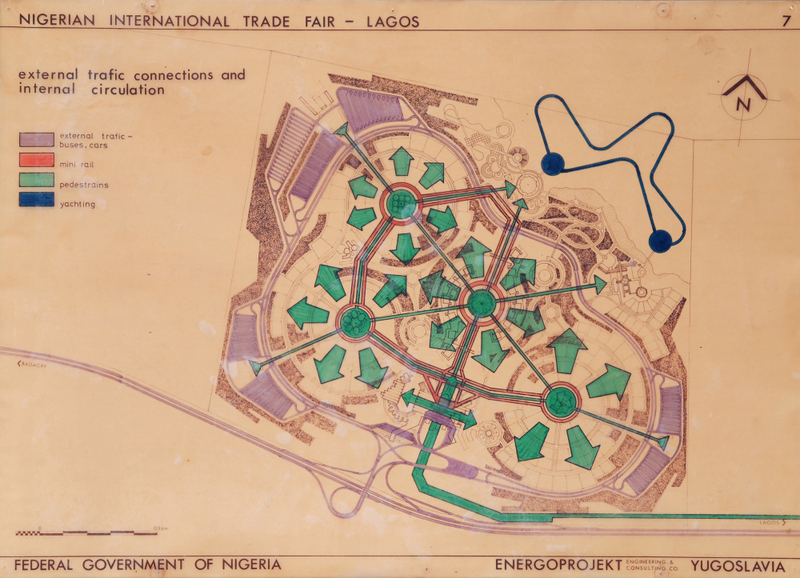 Zoran Bojović for Energoprojekt, International Trade Fair, 1973-77, Lagos, Nigeria. 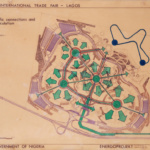 Plan of external traffic connections and internal circulation, 1973. Felt tip pen on tracing paper mounted on cardboard, 27 9/16 x 39 3/8 in. (70 x 100 cm). Personal archive of Zoran Bojović. 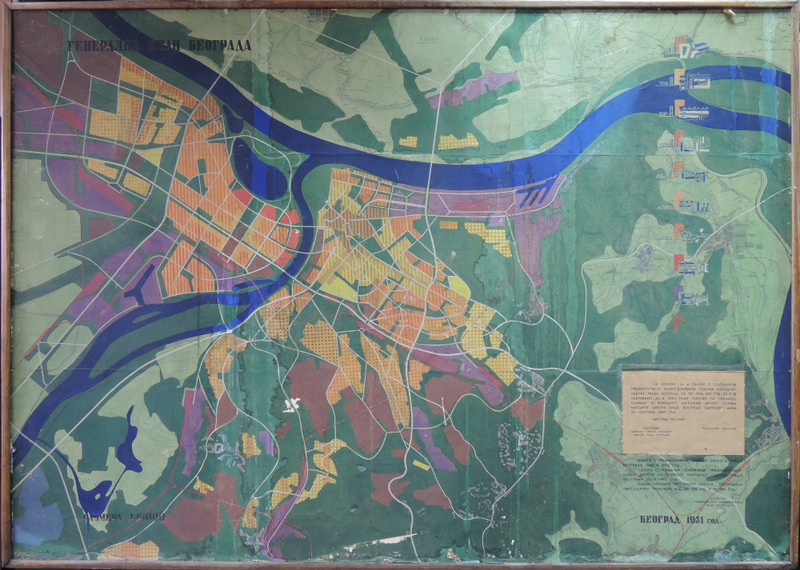 Urban Planning Institute of Belgrade, Belgrade Master Plan, 1949-50, Belgrade, Serbia. 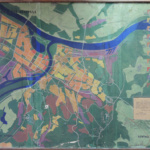 Plan 1:10000, 1951. Ink and tempera on diazotype, 64 9/16 x 9 3/4 in. (164 x 233 cm). 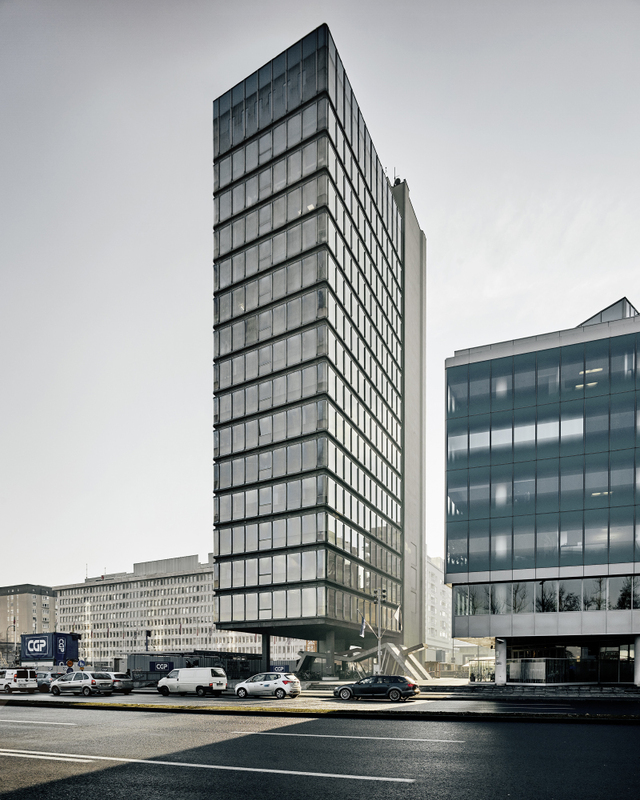 Urban Planning Institute of Belgrade. 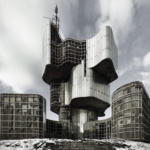 Toward a Concrete Utopia: Architecture in Yugoslavia, 1948-1980 is the first major exhibition in the United States to display the compelling portfolio of architecture from the former Yugoslavia. 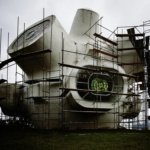 The exhibition will be on view at the Museum of Modern Art (MoMA) from July 15, 2018–January 13, 2019, and will include more than 400 visual documents from Yugoslavia’s prominent architects during the 45 years of the country’s existence. 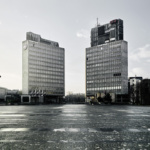 The architecture ranges from both soaring International Style skyscrapers and Brutalist structures of concrete geometric forms, representing the postwar style Yugoslavia’s architects developed in response to conflicting influences from both “the capitalist East and the socialist West,” according to a statement from the MoMA. 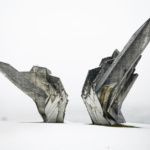 Yugoslavia avoided the Cold War, instead became a leading figure in the Non-Aligned Movement in 1961. At the same time, the government built extensively in the hopes of modernizing and stimulating the economy to improve the lives of their citizens. The state also expanded its political influence in other Non-Aligned countries in Africa and the Middle East by building in and urbanizing those countries. 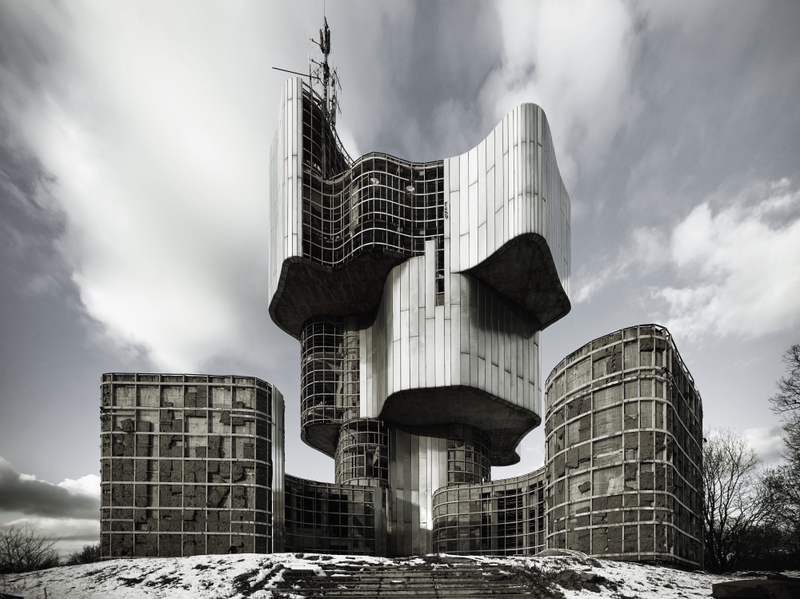 Many memorials and monuments can be seen in the exhibition, showcasing Yugoslavia’s socialist ambition. 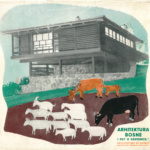 Important architects such as Bogdan Bogdanović, Juraj Neidhardt, Svetlana Kana Radević, Edvard Ravnikar, Vjenceslav Richter, and Milica Šterić are featured in the exhibition.